Looks like it will be more interesting than the address. That's a pretty low bar, Ray. ^The Travel Channel is just as bad. Mostly about paranormal ghost hunting, etc.. Where are the trip reviews, etc??? Oh, I forgot...it's about entertainment and ratings, not dull facts and information. Sad but true, Gene. I get it. They have to make a buck and they do that by capturing viewers. I guess as a nation, we have pretty much the tv programming we deserve. Thank you for the heads up, Gene! Yes, thanks, Gene. Didn't mean to throw shade on your heads-up. The best thing about this forum is the wide variety of interests represented here. No problem, Mike. After recommending the show, I forgot to watch it! Well stated, when Discovery Channel started up, they were about science, they even had cool stores in airports, now they show made up dramatized Garr-Baage. Of course, I remember when TLC stood for The Learning Channel, not the crazy outlier channel. Okay, just kidding. 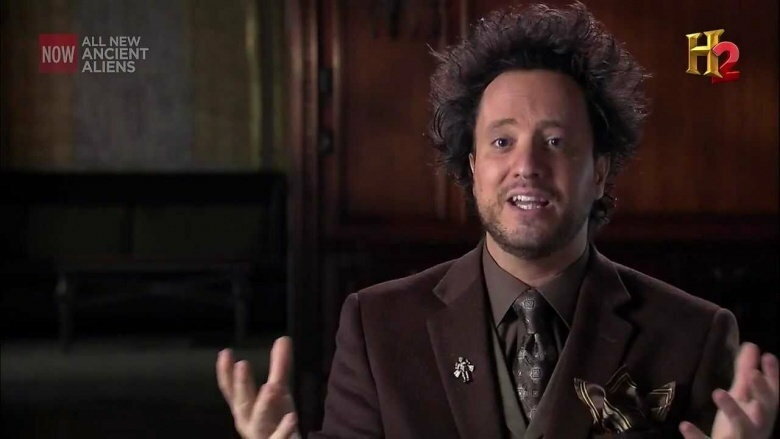 That "space aliens" dude with the hair Giorgio Tsoukalos! That's what happen when you don't dry your hair --- then drive top down --- at high speed. Last edited by windhund116; 01-09-2019 at 05:04 PM.